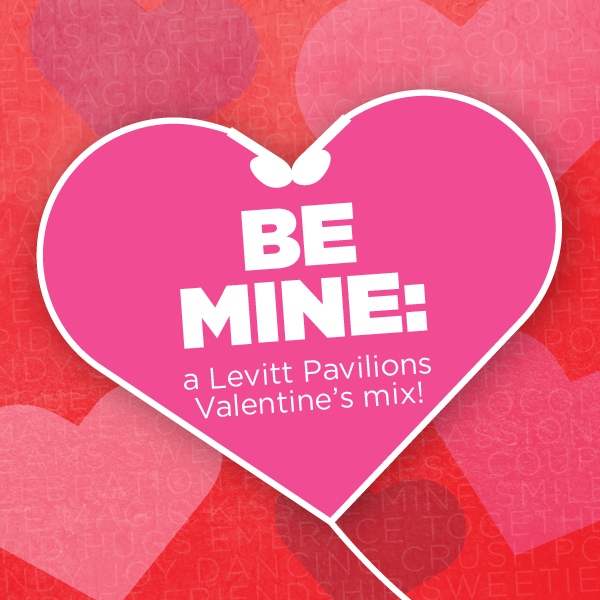 Be Mine: A Levitt Pavilions Valentine's Day Mix! While you can certainly say it with flowers, chocolates, home cooked meals and more, we often find ourselves turning to one of the most romantic forms of expression of all: music. And to celebrate Valentine’s Day, we’ve put together a playlist of songs about love by artists who have performed at Levitt stages across the country over the last couple of years! Here are some amazing songs by The California Honeydrops (Levitt Shell 2014), Tab Benoit (Levitt SteelStacks 2014, Levitt Arlington 2014, Levitt Shell 2011), Barbara Morrison (Levitt Pasadena 2014–2003), Dexter Story (Levitt Pasadena 2013), Arise Roots (Levitt Los Angeles 2014, Levitt Pasadena 2013) The Duprees (Levitt SteelStacks 2014), Gregory Porter (Levitt Shell 2012), Pete Escovedo (Levitt Pasadena 2014), Eden Brent (Levitt Shell 2013), Jimmy LaFave (Levitt Pasadena 2014 & 2013) and Katie Herzig (Levitt Shell 2014, Levitt Pasadena 2011). Happy Valentine’s Day from Levitt Pavilions! What are your favorite love songs? Let us know in the comments!